Scientists want to understand how the acceleration of electrons in very strong shocks with large ‘Mach numbers’ depends on the angle between the magnetic field and a vector at right angles to the shock front. In particular, they are interested in what happens in a ‘quasi-parallel’ shock, where the field and vector are almost aligned, as may be found in supernova remnants. 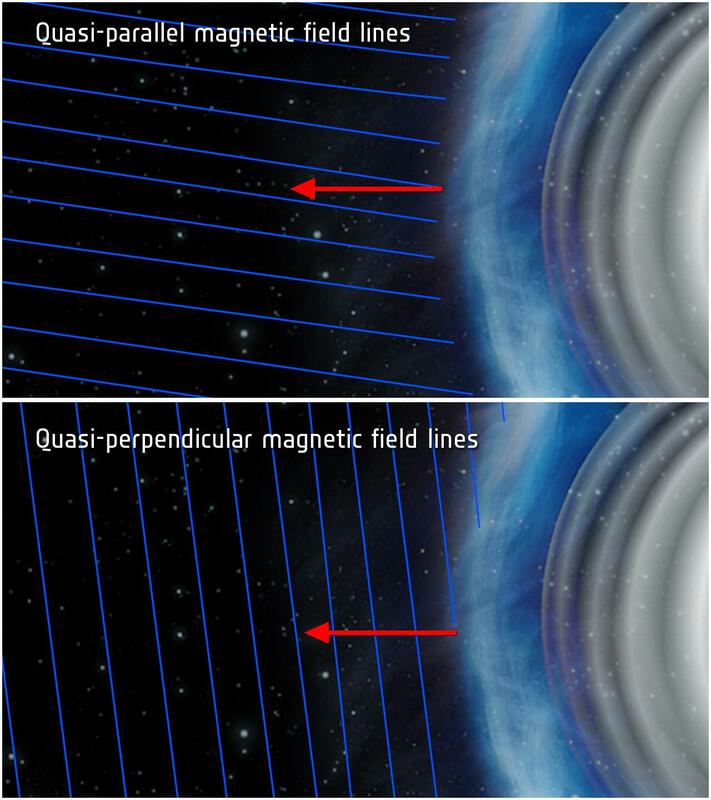 Shocks in the solar wind in the Solar System are much more accessible and can be studied in greater detail. To date, however, particle acceleration has only been seen in ‘quasi-perpendicular’ shocks, where the magnetic field and shock vector are almost perpendicular. “Cassini has crossed Saturn’s bow shock hundreds of times, recording typical Alfvén Mach numbers of around 12. But during one particular crossing in early 2007, we measured a value of ~100, during which time the shock was quasi-parallel,” describes Adam Masters of the Institute of Space and Astronautical Science, Japan, and lead author of the paper reporting the results in Nature Physics. “Cassini has essentially given us the capability of studying the nature of a supernova shock in situ in our own Solar System, bridging the gap to distant high-energy astrophysical phenomena that are usually only studied remotely,” adds Dr Masters. 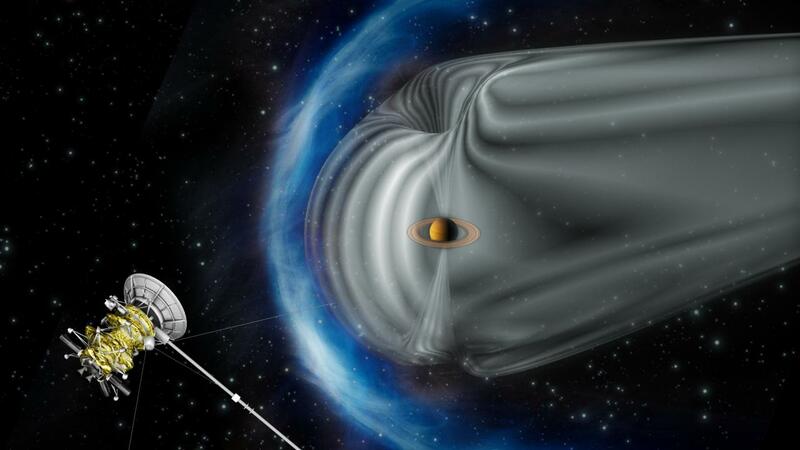 “The Cassini observations have given us a glimpse of a process never before seen directly, providing new information on how high-energy particles, like cosmic rays, are accelerated to such high velocities by magnetic fields throughout the Universe,” says Nicolas Altobelli, ESA’s Cassini project scientist.